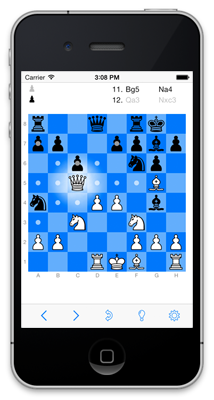 tChess was one of the first iOS chess apps to support real-time online play via Apple's Game Center service, and it was the first to support turn-based online play. If you're playing a real-time match, tChess allows you to use Game Center's Voice Chat feature (optional; requires Wi-Fi). Turn-based matches allow you to make moves at your convenience. You can play multiple turn-based matches simultaneously. 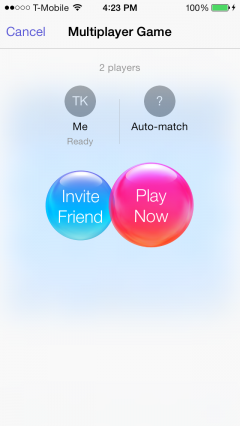 Both modes allow you to send messages to your opponent, request takebacks, offer draws, etc.